Historic Tempe, AZ Homes For Sale in Tempe, AZ. 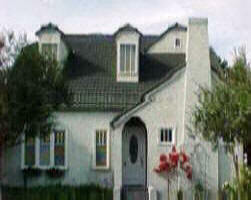 Downtown Phoenix Homes For Sale. Central Phoenix Houses. 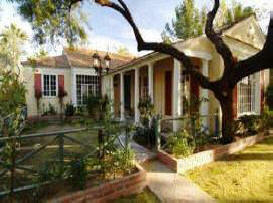 Phoenix Historical Homes For Sale with Free MLS Searches. Luxury Condos, Lofts, High-Rises In Downtown Phoenix, Central Avenue and all Phoenix Historic Districts for sale. Following the establishment of Fort McDowell on the eastern edge of central Arizona's Salt River Valley in 1865, enterprising farmers moved into the area. They dug out the irrigation canals left by the prehistoric Hohokam people and built new ones to carry Salt River water to their fields. Valley farms soon supplied food to Arizona's military posts and mining towns. The first settlers to move to the Tempe area, south of the Salt River and east of Phoenix, were Hispanic families from southern Arizona. They helped construct the first two irrigation canals, the Kirkland-McKinney Ditch and the San Francisco Canal, and started small farms to the east and west of a large butte (Tempe Butte). In 1872, some of these Mexican settlers founded a town called San Pablo east of Tempe Butte. Another settlement, known as Hayden's Ferry, developed west of Tempe Butte. Charles Trumbull Hayden, owner of a mercantile and freighting business in Tucson, homesteaded this location in 1870. Within a few years, he had built a store and flourmill, warehouses and blacksmith shops, and a ferry. This community became the trade center for the south side of the Salt River Valley. Both settlements grew quickly and soon formed one community. The town was named Tempe in 1879. "Lord" Darrell Duppa, an Englishman who helped establish Phoenix, is credited with suggesting the name. The sight of the butte and the wide river, and the nearby expanse of green fields, reminded him of the Vale of Tempe in ancient Greece. As more farmers came to settle in the Valley and started raising alfalfa and grains for feeding livestock, the Tempe Irrigating Canal Company provided all of necessary water. With a network of canals that extended several miles south of the river, irrigation water was carried to more than 20,000 acres of prime farmland. Crops of wheat, barley, and oats ensured a steady business for the Hayden Mill. The milled flour was hauled to forts and other settlements throughout the territory. By the 1890's, some farmers started growing new cash crops such as dates and citrus fruits. In 1885, the Arizona legislature selected Tempe as the site for the Territorial Normal School, which trained teachers for Arizona’s schools. Soon, other changes in Tempe promoted the development of the small farming community. The Maricopa and Phoenix Railroad, built in 1887, crossed the Salt River at Tempe, linking the town to the nation's growing transportation system. The Tempe Land and Improvement Company was formed to sell lots in the booming town. Tempe became one of the most important business and shipping centers for the surrounding agricultural area. The completion of Roosevelt Dam in 1911 guaranteed enough water to meet the growing needs of Valley farmers. On his way to dedicate the dam, former President Theodore Roosevelt applauded the accomplishments of the people of central Arizona and predicted that their towns would grow to become prosperous cities. Less than a year later, Arizona became the 48th state, and the Salt River Valley was well on its way to becoming the new population center of the Southwest. Tempe was a small agricultural community through most of its history. After World War II, Tempe began growing at a rapid rate as veterans and others moved to the city. The last of the local farms quickly disappeared. Through annexation, the city reached its current boundaries by 1974. Tempe had grown into a modern city. The town's small teachers college had also grown, and in 1958, the institution became Arizona State University. Tempe's commercial center along Mill Avenue declined during these years. Prompted by Tempe’s centennial in 1971, Mill Avenue was revitalized into an entertainment and shopping district that attracts people from throughout the Valley. Today, Tempe is well known nationally as the home of the Fiesta Bowl and the Arizona Cardinals. It is the seventh largest city in Arizona, with a strong modern economy based on commerce, tourism, and electronics manufacturing.